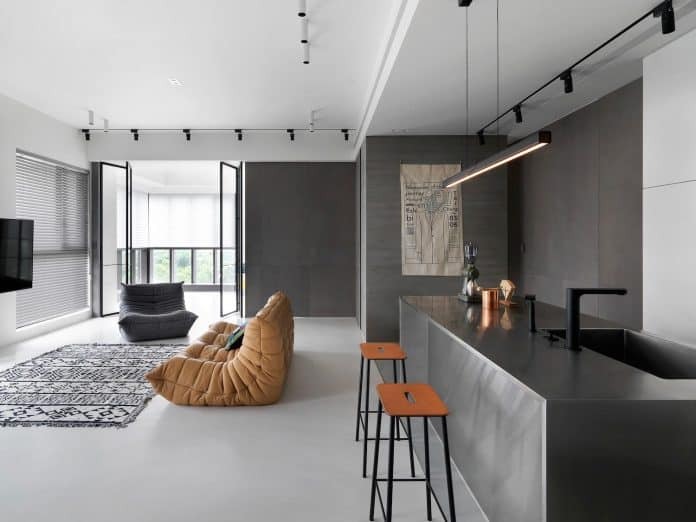 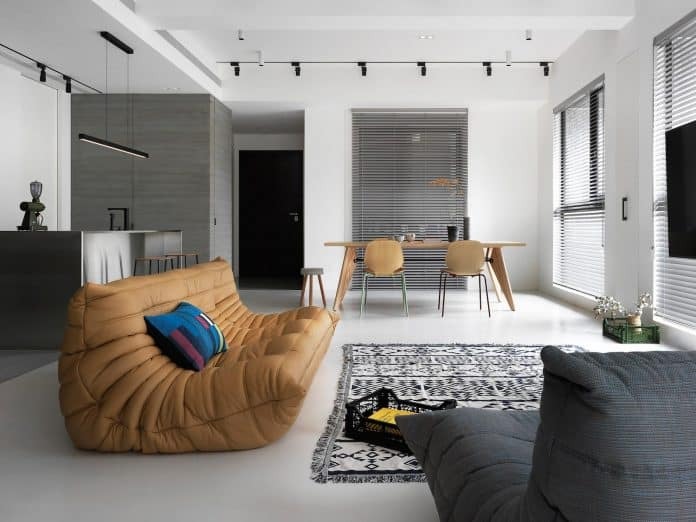 This modern and elegant apartment was designed by the architectural firm 2BOOKS design in Hsinchu City, Taiwan in 2017. 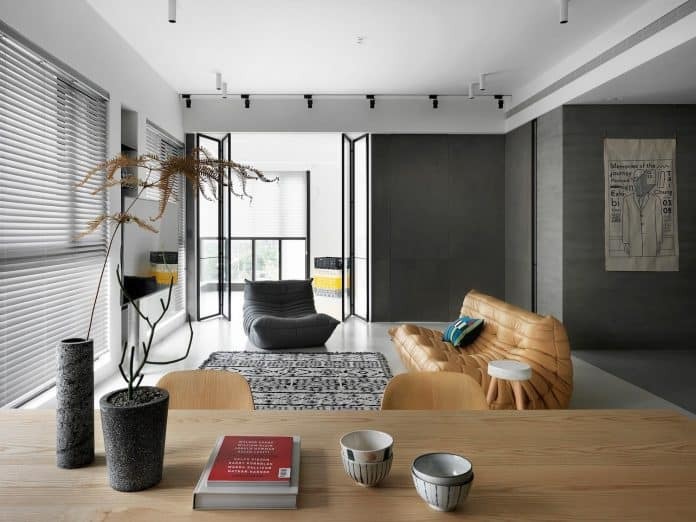 The flat is located on a single floor measuring 128 square meters, and in which they employed two main systems of color: gray and white. 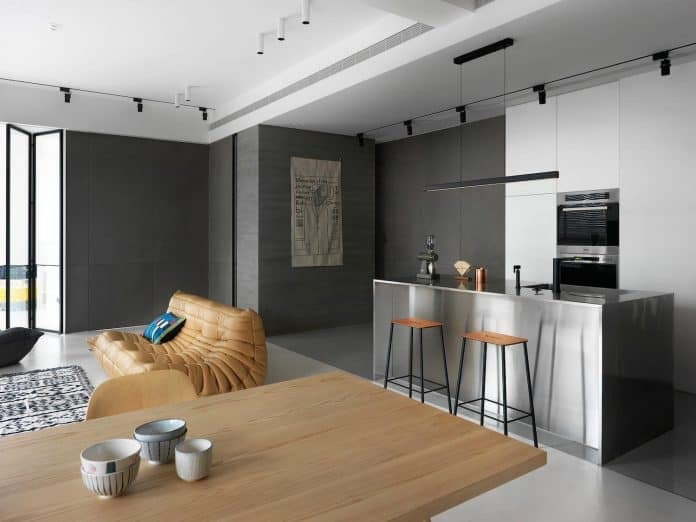 The architects used a range of grays in different textures and shades to harmonize the space, and white to add highlights. 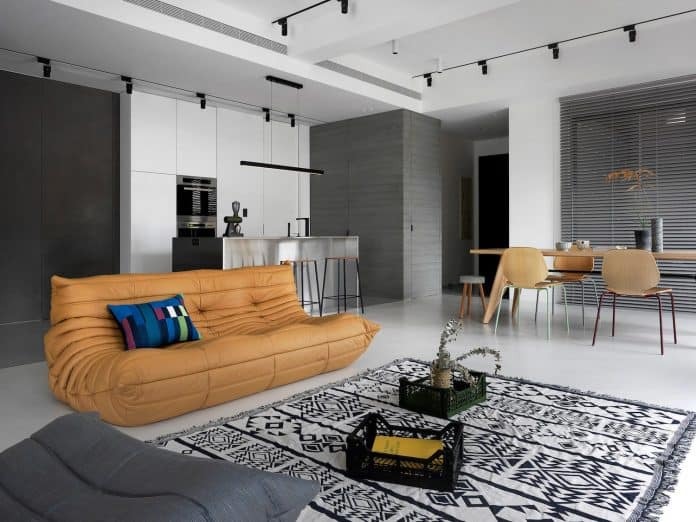 To coordinate with the gray used on the floors, walls, and part of the décor, and seeking to create highlights, a mustard sofa was added in order to harmonize with the modern wooden dining room and break the monotony. 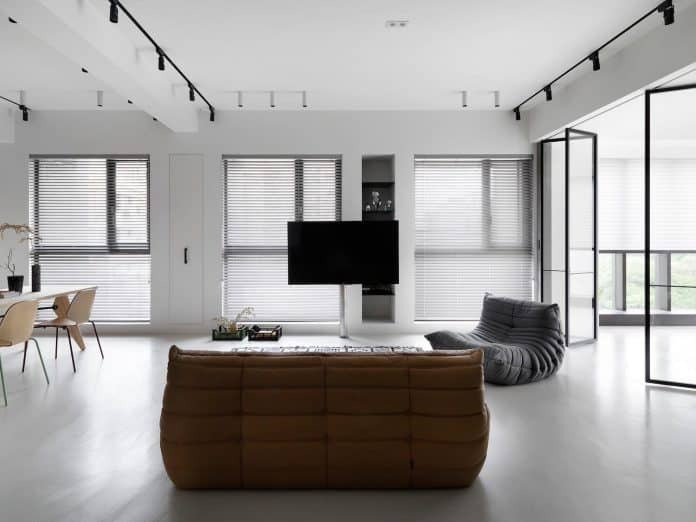 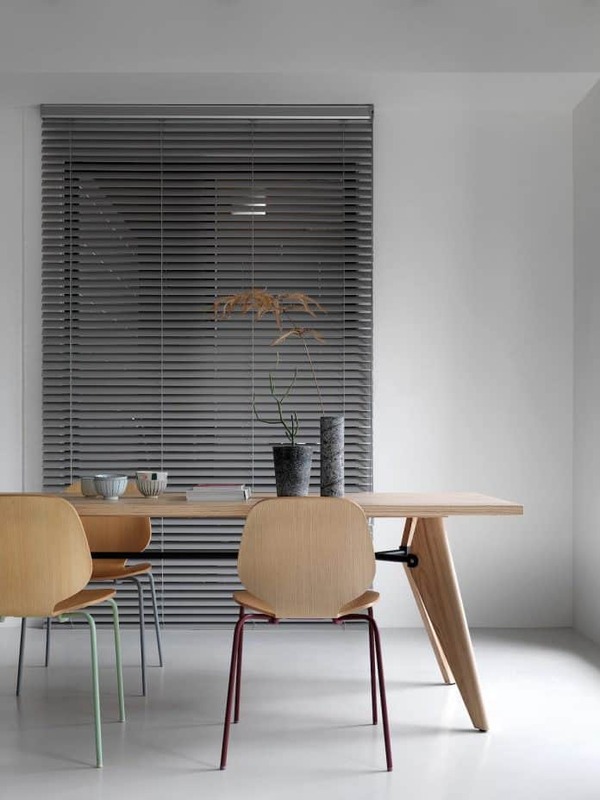 Clean and clear lines are another point of emphasis of this interior, used to direct the eyes precisely where the designers wished for them to go. 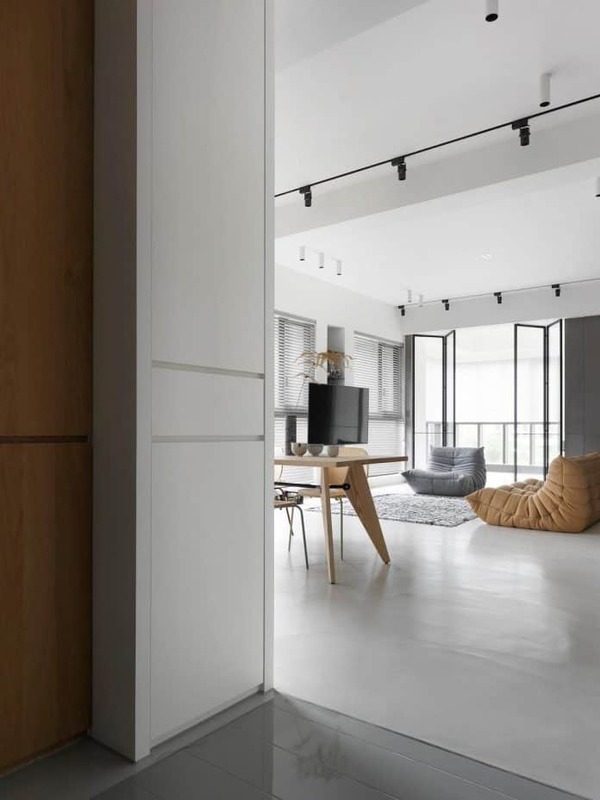 As for the configuration of the public space, one of the bedrooms was opened, the materials used on the floors were extended, and glass doors were installed alongside clean lines in order to blur the boundaries, making the public space more open and more flexible. 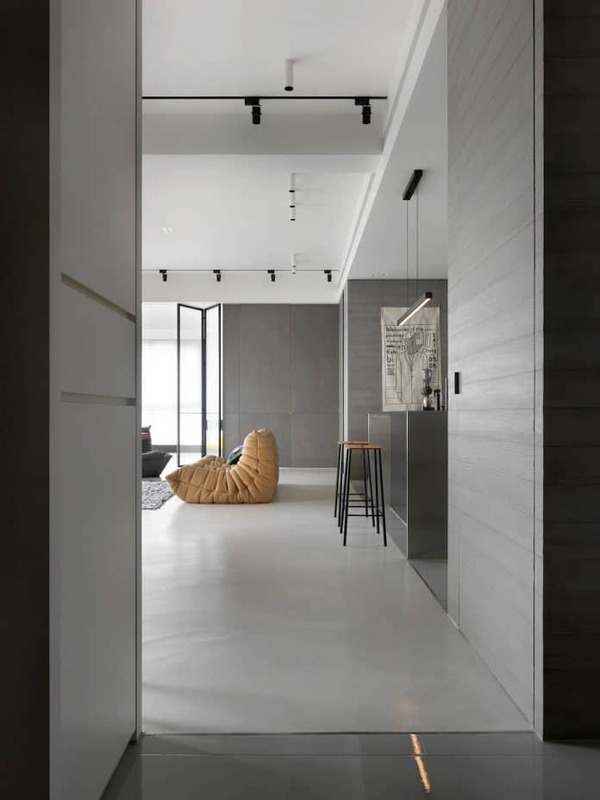 A floor made of bright materials contrasted with the more rustic cement floor. 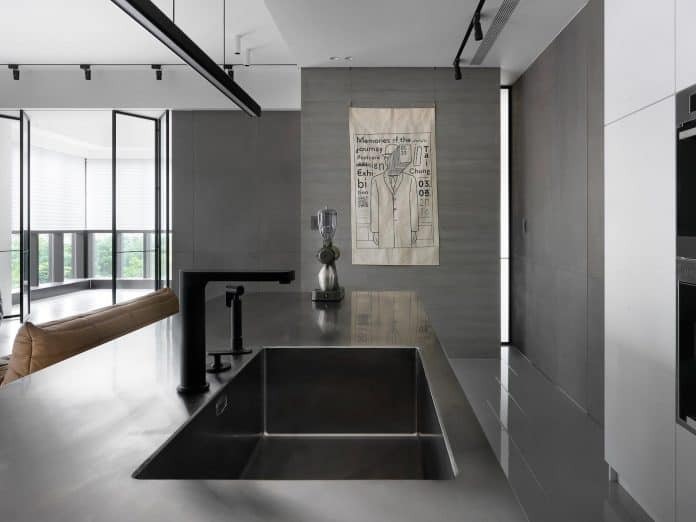 The combination of different materials allowed the architects to separate the spaces in a subtle way, but with an open vision.